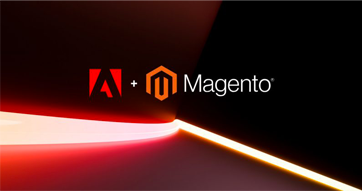 Adobe announced yesterday its plan to acquire one of e-commerce major players: Magento. The disclosed amount of the deal; 1.68 billion dollars, will probably be adjusted later on but represents a substantial premium for Permira Funds whom purchased it from eBay for 925 million dollars in 2015 (Magento + eBay Enterprise products). This acquisition should restore a clear strategic direction for Magento, which has long been suffering from changes in its shareholders. Investors whom never really addressed the challenges of omnichannel, and didn’t make the essential shift from the monolithic approach that prevailed in the past, towards a breakdown into blocks (PIM, RCU, headless approach, OMS, …). It is also the occasion to put an end to the ambiguous approach for cloud (partnership with Plaform.sh, Acquia’s cloud offer, …). On these particular topics, the acquisition is a great news for Magento. Remains the challenge of integrating two very different cultures as well as a network of System Integrator pro Open Source. Finally, we will remember that this union occurred 3 days after Meghan and Prince Harry’s royal wedding. A good omen ?